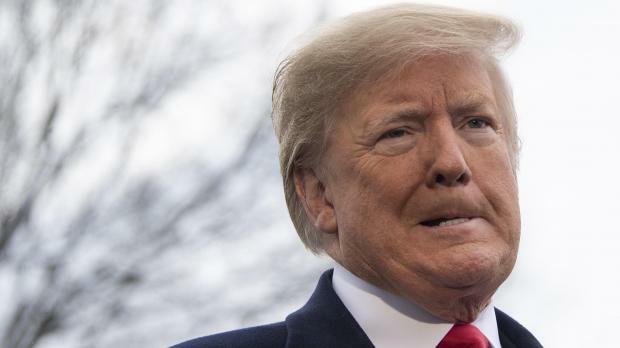 "It's a lot of fake news"
US President Donald Trump declared Monday that he has "never" worked on behalf of Russia after bombshell reports were published on his alleged ties to the Kremlin. "I never worked for Russia and you know that answer better than anybody," Trump told reporters at the White House. "It's a disgrace that you even ask that question. It's all a big fat hoax." Trump's angry comments followed a New York Times report that the FBI investigated suspicions that Trump might be acting on Russia's behalf after he sacked the bureau's director in 2017. "It's a lot of fake news," Trump said, stressing that he has "those meetings one on one with all leaders." "I have relationships with almost everybody and that's a good thing not a bad thing," he said. He said that the then-leaders of the FBI who decided to investigate him were "known scoundrels, I guess you could say dirty cops." Trump is also at the center of a huge investigation led by special prosecutor Robert Mueller, who is looking into allegations that the Kremlin worked to influence the 2016 presidential election -- and may have colluded with Trump's campaign.